The big brand name tried to be affordable in shape of Mercedes Vito 116. It carries same strongly built chassis comfort for the riders but missing optional high roof choice for the buyers that want ease in every matter. 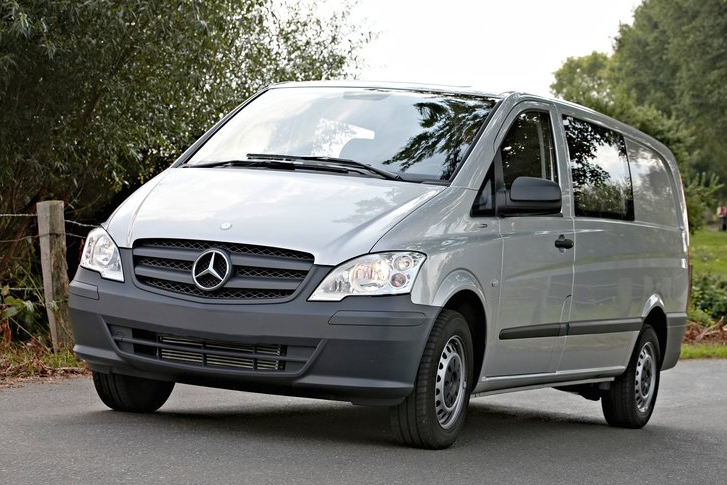 Mercedes Vito 116 used engines give you very much similar performance as you expect from a strong unit. These reconditioned Mercedes Vito 116 engines are quite an economical option for many people in UK. Though it has not earned the popularity that has been enjoyed by the bigger van of the same vehicle producer the new version of Vito is going to change this forever. Mid-size panel vans’ segment is the most crowded and to beat the competitors Mercedes has to improve the features all around. The rivals have very strong footings in the auto market of the country and to on their part, the company needs to take the bar higher in every model. The previous generation of the van has suffered due to lack of variety in models and no other option than rear wheel drive configuration. But all such shortcomings have been addressed and the new model of Vito is to challenge all the top options of this commercial vehicle segment. It has got two wheelbases, available in three different lengths and you can have either FWD or RWD configuration. So you have lost all excuses to avoid it in your top priority list. Apart from panel van model, you could have a Crew van and Tourer minibus models. So now it has got the variety that has been offered by the competitors. Load volume capacity varies from 5.5 cubic meters to 6.6 cubic meters and payload has risen to 1369kg. In this way a far more developed van has been launched this time. A pair of diesel engines is fitted under the bonnets. The smaller one is 1.6-litre four cylinders Mercedes Vito engine that has been borrowed from Renault. This one is available only with front-wheel drive models so to get more powerful machine once again rear wheel drive is the only option. The 2.1-litre diesel engine has a number of power variants from 87 bhp to 188 bhp. Thus more options than you think earlier. All of these engines are in compliance with Euro6 standards. If one is in search of the best economical option of the range then one must jump to 116CDI Blue-Efficiency model. That claims a wonderful economy of almost 50 mpg on a combined cycle. Standard gearbox is manual and has six-speed transmissions. But a seven-speed auto gearbox is also present in the list of choices you can make. This 7G-Tronic is fitted only to the rear wheel drive vans. So by one way or the other still much of the variety in the old configuration. Service intervals are stretched to 25000 miles or two years, whatever comes first. So running cost is very much affordable just like the purchase price of the vehicle. The accurate time for this purpose is calculated by the inbuilt system. And it decided by taking into account all the factors that lead it to the service point. In this way, the overall reduction of maintenance has reached 6.4 percent lower than the previous model of the van. Moreover, you get 12 years warranty against corrosion. Not only you get the required reduction in the maintenance cost but also received a warranty for chassis build quality. It almost matches the space of the most roomy panel van too. This is not the last quality of this vehicle.